What does a Fully Promoted Franchise Cost? A Growing Brand and a Unique Business Model. With nearly 350 stores across the globe, Fully Promoted is a proven business model. This B2B paradigm affords owners the opportunity to develop repeat business relationships with volume-based clients while selling a product with a high perceived value. Coupled with their private online stores to further streamline ordering, this model maximizes earning potential with minimal overhead. Learn more about owning a Fully Promoted franchise, a turnkey business. In the $50 billion promotional marketing industry, it takes a lot to come out on top. But Fully Promoted and their sister brand, Signarama, are proud to sit right in that sweet spot. For entrepreneurs who want to make an impact through customized marketing solutions, there is really no better opportunity than Fully Promoted. The promotional marketing industry centers around offering promotional products that bear a name, image, brand identity, logo or message. 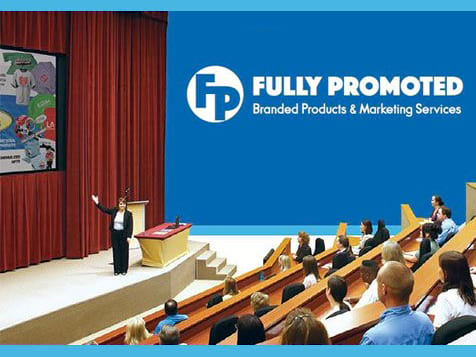 Fully Promoted is a promotional marketing consulting company that specializes in marketing programs to meet businesses on their level and budget while offering marketing programs that result in growth for their business. 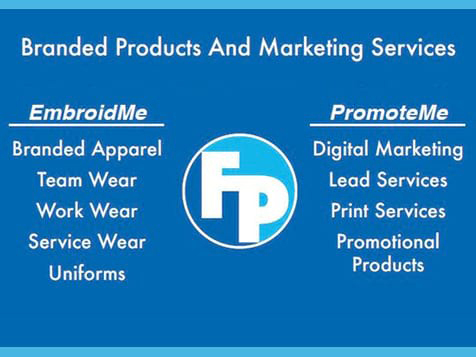 Included but not limited to PPC campaigns, SEO, marketing material, leads list, social media programs, awards, gifts, embroidery, garment printing, custom apparel, promotional products, and screen printing products. The impact of promotional products is great. Because Fully Promoted provides a comprehensive training program, no experience is necessary to become a franchisee. The systems are easy to use, and you will be guided through the entire sales process. A fantastic 5 week training program will educate you in every aspect of your business, from staffing to operating and promoting your business to the local market. A two-week introductory training program at Fully Promoted University, located at the corporate headquarters in West Palm Beach, FL. Travel and lodging expenses are covered for franchisees. An additional three weeks of training at your store location. 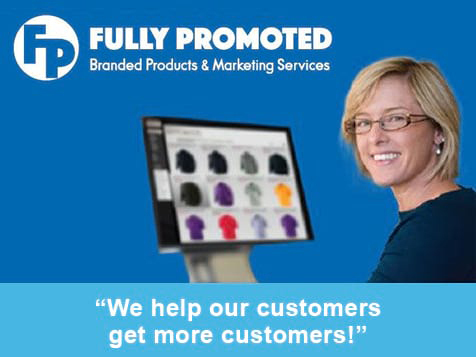 With products ranging from marketing material and tradeshow booths to decorated apparel and team uniforms, Fully Promoted is a robust promotional marketing franchise that supports a strong customer base in any economic condition. As a Fully Promoted franchisee, you can expect to pay approximately $174,000 to $178,000 in investment costs, which includes the $49,500 franchise fee, supplies and equipment, insurance, and other operational expenses. Do you think this sounds like you? Then you might be a good candidate for a Fully Promoted franchise! If you’re ready to get started with a branded products franchise opportunity and partner with one of the fastest-growing brands, complete the inquiry form today and get more information.